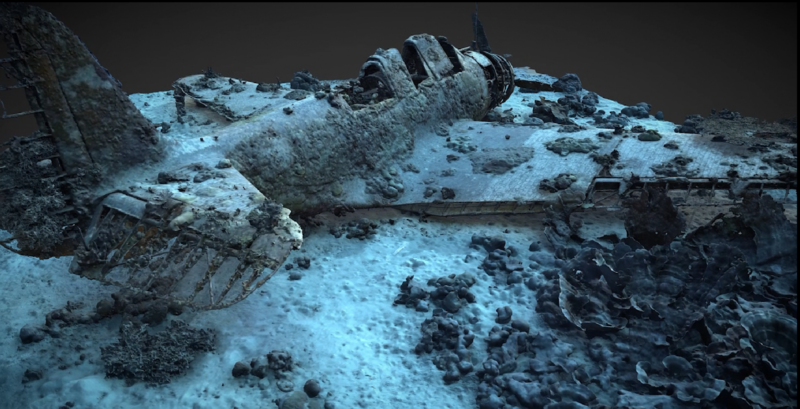 3D at Depth, a subsea imaging company, made use of new laser technology to create a 3D reverse engineered model of the wreck of an historical U.S. Navy plane. 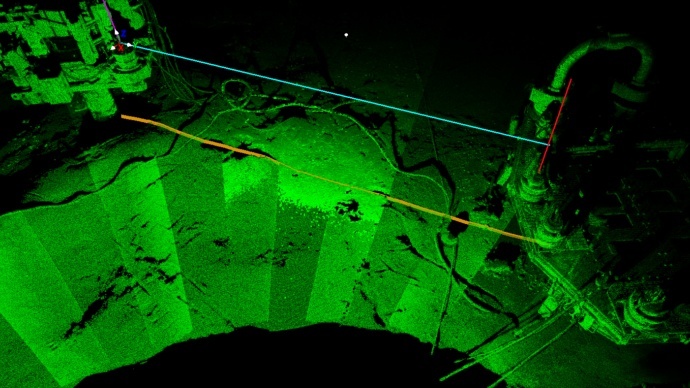 The underwater survey technique integrates photogrammetry with Subsea laser LiDAR (SL) technology to create accurate, precise, reverse engineered 3D models. Specifically, the company used this technique on the U.S. Navy Douglas TBD-1 Devastator aircraft that is largely intact on the bottom of Jaluit Lagoon in the Marshall Islands. Of the 129 Devastators built, all were either lost in battle, destroyed in operational accidents or scrapped before the end of World War II. The new technique was developed on October 2018 expedition with a non profit Air/Sea Heritage Foundation to document the wreck. 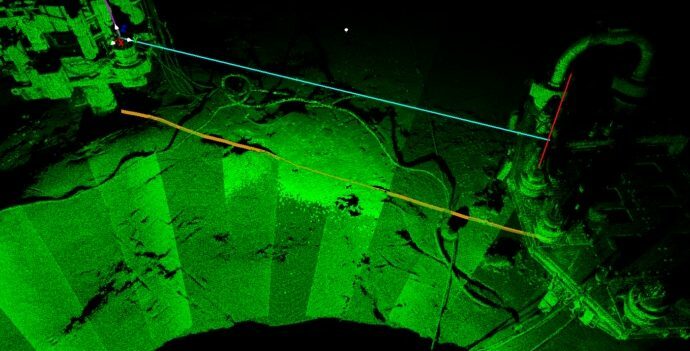 The expedition was conducted to capture precise, repeatable, millimetric data to build an accurate 3D model to serve as a pre-disturbance survey for the proposed recovery of the plane for the National Museum of the United States Navy in Washington, DC. The U.S. Navy Bureau of Aeronautics Number (BuNo) 1515, formerly assigned to Torpedo Squadron Five (VT-5) aboard the aircraft carrier USS Yorktown (CV-5) is based in a sensitive marine habitat. In addition, the sensitivity of the nature of the wreck and the low water clarity conditions, provided many limitations to the research. In the six days on site, many dives were conducted. The SL3 pulsed at 40,000 measurements/sec for each scan position acquiring very high-density sector scans. 3D at Depth’s patented index of refraction correction algorithm was able to deliver repeatable data sets in low clarity water quality where other optical solutions would struggle to operate. Overall, the laser delivered 92 million points and the photogrammetric data after processing produced 5.7 million vertices. Each dense point cloud was then surface modeled and moved into a 3D design computer. Optical imagery from photogrammetry, 360 VR and stills were integrated into the designs to render an exact 3D model of the Devastator. Along with the laser LiDAR data, the team captured 1,398 still images with photogrammetry.